At James River Advisors, we understand that we’re helping manage your life savings. This is a monumentally important task to you, and an equally important job for us as financial advisors. We pride ourselves on going above and beyond traditional wealth management and financial planning. We limit the number of client relationships each financial advisor has, specifically to ensure that you receive the attention you deserve. We view our role not as simply selecting investments…instead we look at your entire financial picture to help you plan for life’s events and achieve your financial goals. We make our fees, plus all other expenses, clear and easy to understand. This way you understand what you are paying and why. -We act as a fiduciary to you. This simply means we put your financial interests ahead of our own at all times. 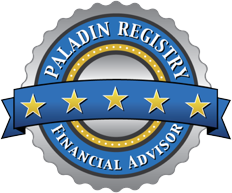 A fiduciary is the highest ethical standard in the financial services industry. No matter what financial advisor you choose to work with, you should not settle for less. -We are totally independent and do not sell proprietary products. Without this conflict, we are free to focus only on providing you the best advice. -We know fees matter, especially over the long run. So we created a low-cost, easy-to-understand fee structure so you know exactly what you are paying for wealth management and financial planning services.